Are you ready to start the adventure? 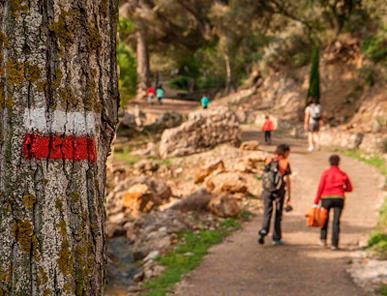 The Terres de l'Ebre are a region of details in which life has another pace. Maybe one of the most pleasant feelings when one spends a few days in this region is that dilates and expands itself. But why? Well, because a very simple reason: you connect again with the most basic sensations, with authenticity and nature. And, as Friedrich Nietzsche said: "Simplicity and naturalness are the supreme and ultimate goal of culture.” The pleasure of a good meal prepared with affection and love, improvised conversations with the people you meet on the road, the gaze discovering new lights and landscapes ... And this is just the beginning Do you want to live in first person? Here are 5 essential plans! If you want to live a unique afternoon, we recommend that you walk along La Marquesa Beach to the Lighthouse of the Fangar in the afternoon. Seeing how the sun goes down, watching the lighthouse and the dunes of the Delta is one of the most unique experiences that you will take with you. Tierra Alta is perhaps the fanciest ​ Denomination of Origin of Catalan wines. Why? Because it has been able to keep some of its most authentic varieties, such as the white grenache, and many new generations have taken over the family wineries, opening them to the visitor. Take a tour to some of the wineries and discover the ancient art of making wine! 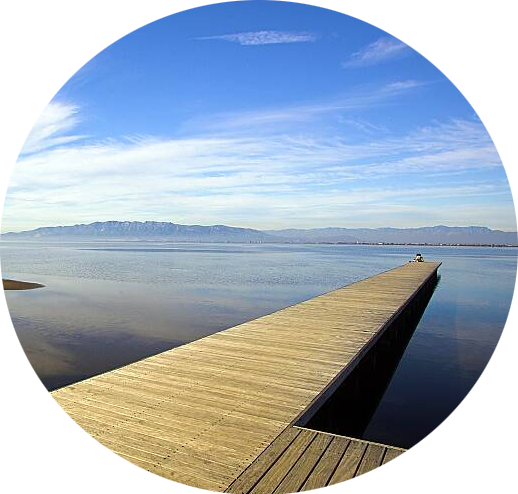 Activities such as kayaking, paddle surfing or strolling on a traditional boat called llagut are some of the best ways to discover the Ebro river at the water's edge. From there the landscapes appear imposing, as well as some precious villages do, like Miravet. Walking along the coast From l'Ametlla de Mar to l'Ampolla is one of the best experiences you can have. If it is summer, you can take a good dip in one of the crystalline water coves that you will find along the way. The Terres de l'Ebre region has very good restaurants per square meter and, in addition, a variety that goes from the more traditional kitchen to the author´s cuisine, of author, with three chefs awarded with Michelin stars. WITH WHOM ARE TOU COMING?